Salt Lake City local Fisch Loops has released a new album, Looking Back, a sample-heavy beat tape that takes listeners on a journey through many types of sounds, genres and feelings. Sporting a hefty 24 tracks, the work acts as a well-fleshed-out demo. The songs are short, with only one track going past the two-minute mark. Still, the concept for each song is apparent, and there is nothing amateur about the work that Fisch Loops produces. 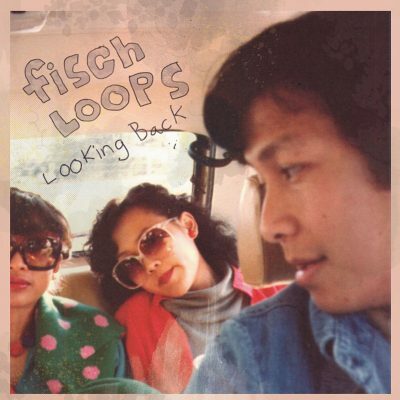 Fisch Loops samples everything from movies and commercials to old-school soul music in Looking Back. Many songs are peppered in with snippets of voices, piano riffs and horn sounds, which grow and shrink as tracks progress. Most songs run out a simple loop that may vary slightly from bar to bar, but remains mostly intact from the first time they are heard. The album combines minimal simplicity with the ear of a refined artist, someone who has put in the time creating a sound that is catchy and unique. Songs like “Bouncelikethis” combine hip-hop lyrics with laid-back lo-fi instrumentations. Simple drumbeats and gentle-sounding melodies pair nicely with heavy-hitting lyrics, reminiscent of MF Doom. Many songs, such as “monster,” “Camping” and “O MY !” don’t use song lyrics. Instead, they employ samples of movies and commercials to convey a point, build up suspense and solidify the theme of a track.